Don’t Slide on that Banana Peel! Storyline 2 has this cool new navigation interaction called the slider which I actually used a few months back with my Bert’s Sliders cooking interaction. This week, Articulate’s own David Anderson challenged us again to use sliders, but this time with a focus on image sliders. 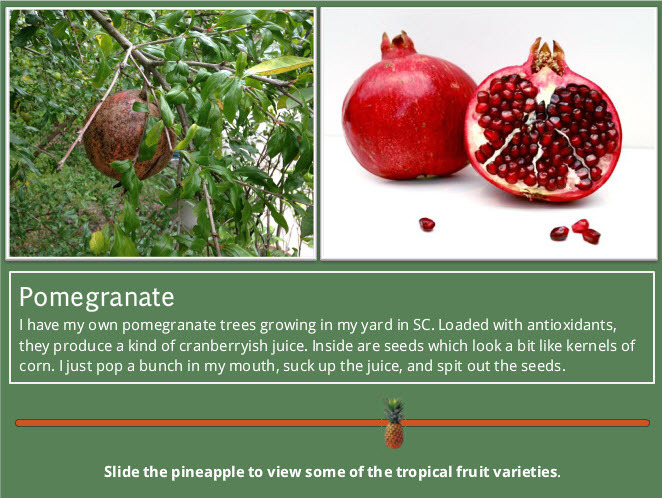 Being that summer is on its way AND I’m a huge fan of exotic & tropical fruit trees, I thought I’d follow my passion on this one and create this fun little interaction. My yard and driveway are heavily populated with all kinds of fruit bearing trees and plants, so a lot of the pictures I used were of my babies. I also found a lot of images on the Bing website selecting the “free to share and use” option. I didn’t use a whole lot of tricks to create this interaction. I replaced the slider button with an image of a pineapple. I later thought I should have used a banana peel, but opted to stick with my pineapple on the grounds he was just too cute to replace. 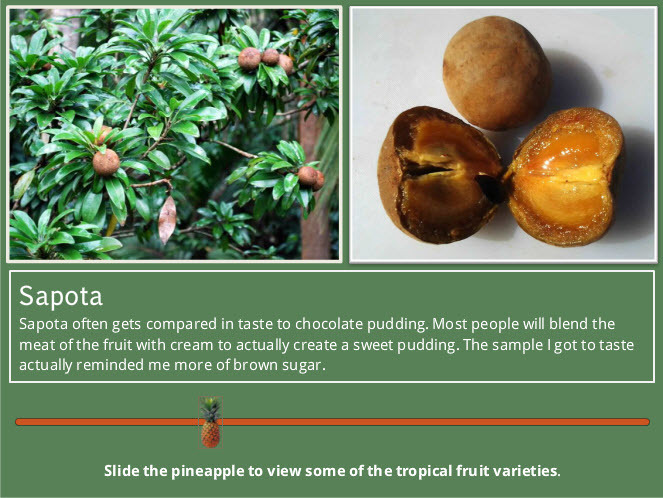 What am I “sapota” to do with this fruit? I find I always get great new ideas from seeing my colleagues work on these challenges. One thing I noticed this week is that many participants had somehow removed the Storyline player altogether. Jackie Van NIce was kind enough to show me how to do this, and you can find her explanation on how to remove it at her blog here. So, I hope you enjoy my latest interaction. 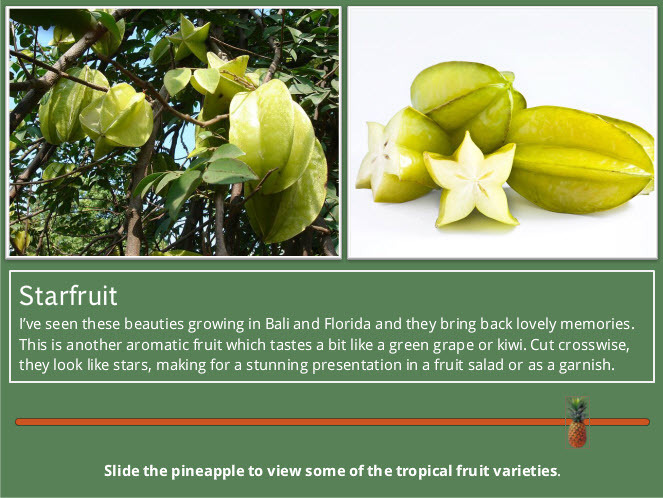 Maybe it’ll inspire you to start your own little orchard of exotic, fruit-bearing trees.